Is there a better alternative to Numeric? Is Numeric really the best app in Mathematics category? Will Numeric work good on macOS 10.13.4? Numeric is a calulator with keys you can touch directly. 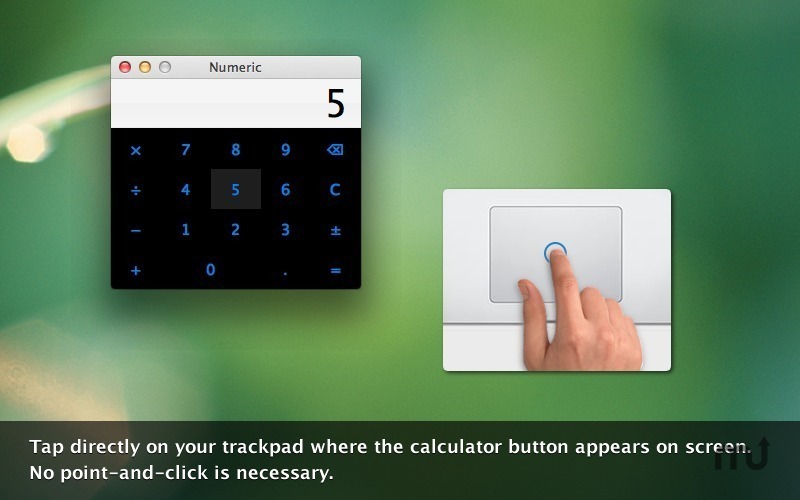 The keys on Numeric's keypad are mapped to the same locations on your Mac's multi-touch trackpad. So to press a key, just tap it on the trackpad. It's never been easier to use a calculator on your Mac. Fix bug where comma as decimal point is not handled properly. Numeric needs a review. Be the first to review this app and get the discussion started! Numeric needs a rating. Be the first to rate this app and get the discussion started!